Made by the Amish, Made in America! 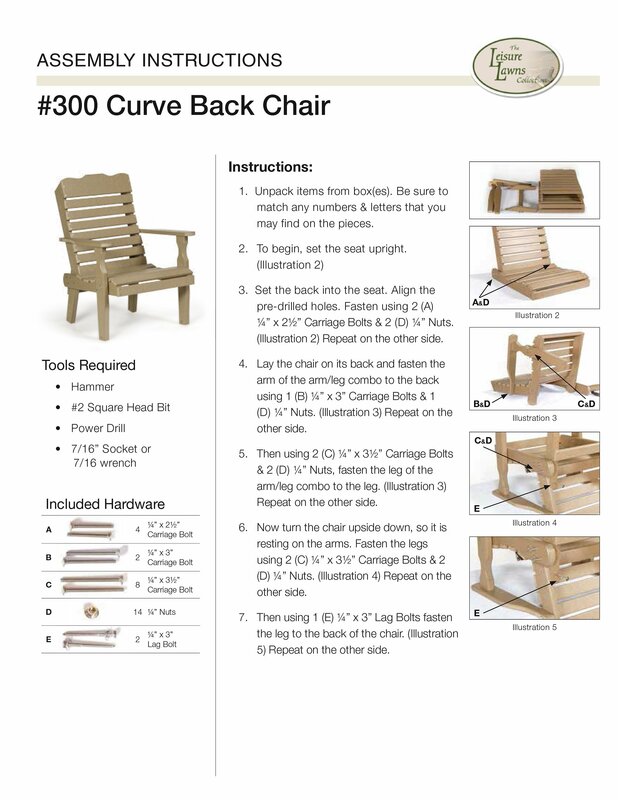 Made of recycled poly lumber, the Curve Back Chair is the eco-friendly, maintenance-free choice in outdoor furniture. Poly lumber, a wood lumber substitute made from recycled materials, will not chip, crack, rot, or develop mold. It requires no maintenance like painting or replacing pieces. Just clean the poly lumber with soap and water. All-purpose cleaners or bleach and water solutions take care of extreme cleaning needs. This chair is built by skilled Amish woodworkers who make quality furniture, no matter what material they use. 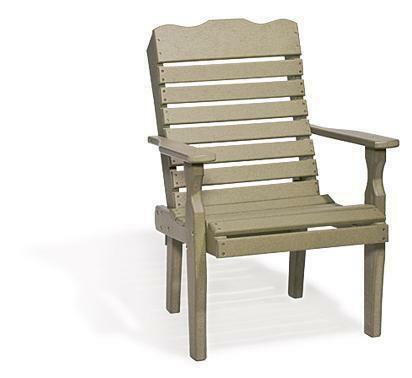 Enjoy years of carefree comfort with the Recycled Curve Back Chair.